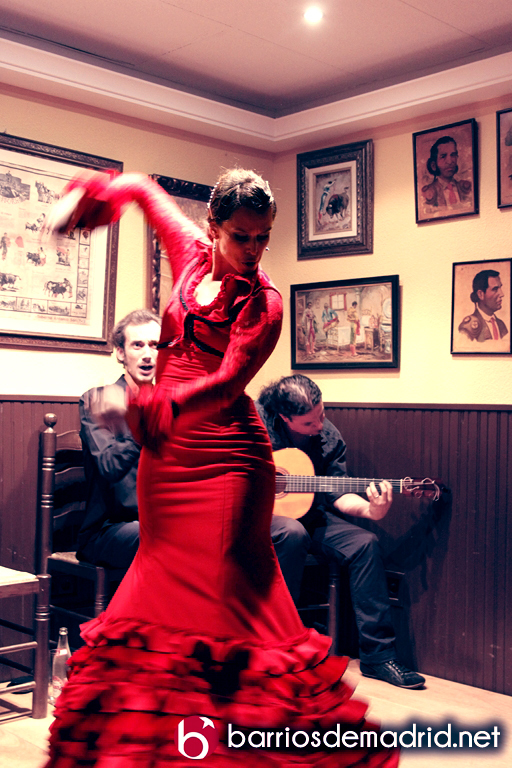 No need to move south to enjoy the music and flamenco dance. 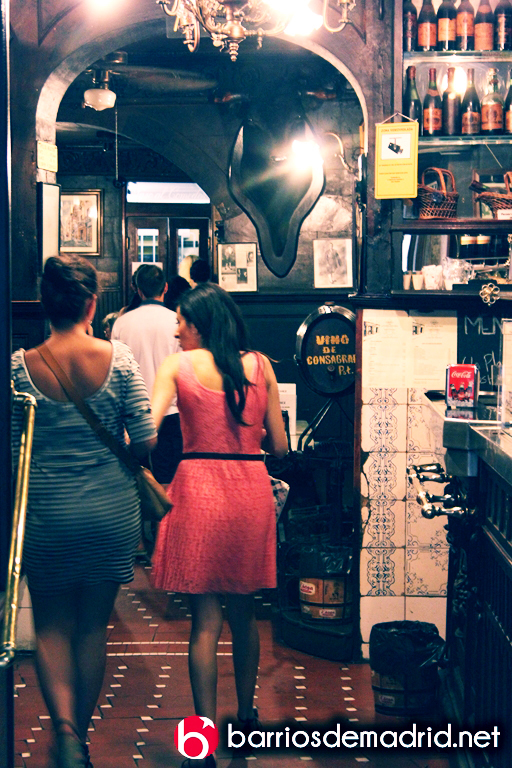 The singing, playing and dancing come together in numerous taverns of Madrid. 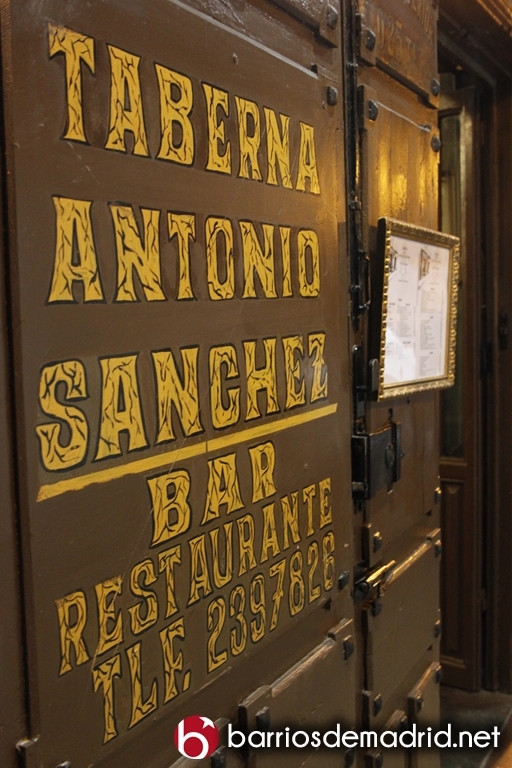 On this occasion, we move to the Taberna Antonio Sanchez, or 3 centuries tavern, one of the oldest in Madrid, dating from 1830. 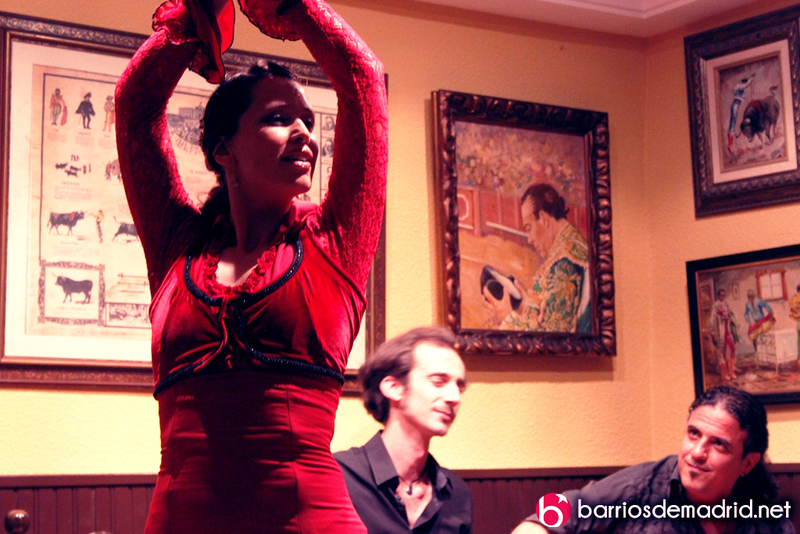 The flamenco show has become popular in much of the world in recent years, with most schools in Japan than in Spain. 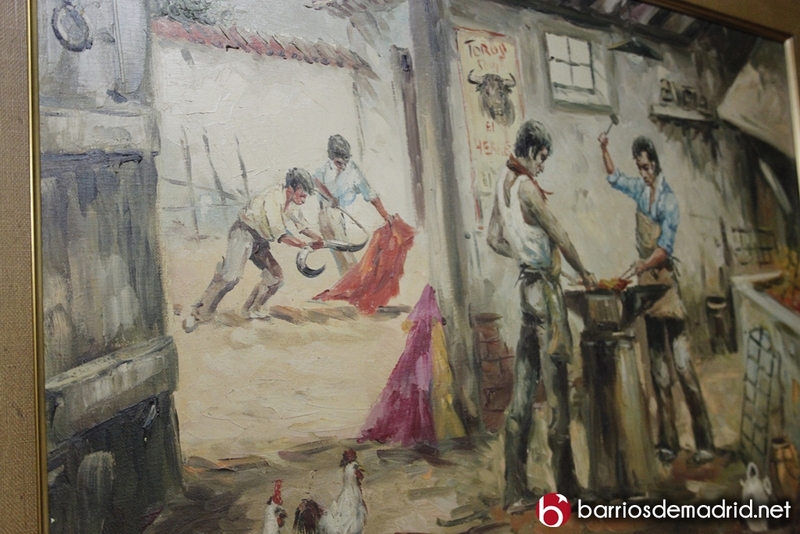 Therefore, it is not surprising to find a foreign audience looking for this kind of show as castizo. 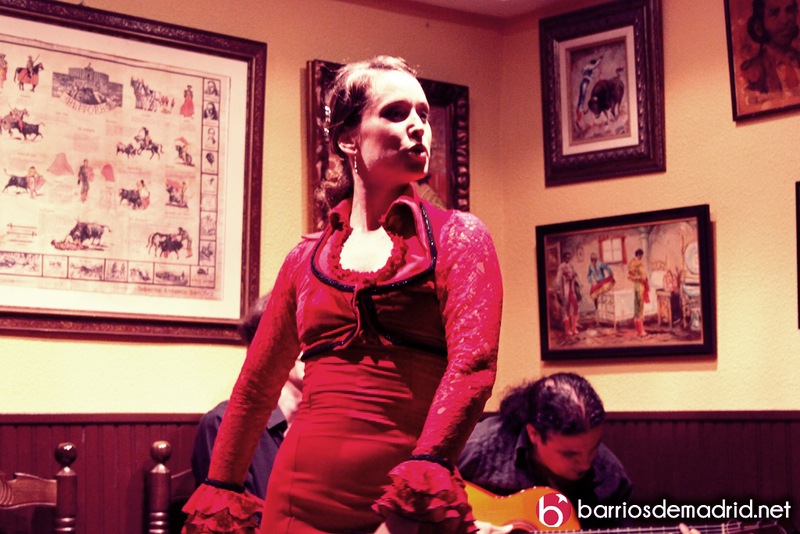 In the session I had the pleasure of attending the Laura Hermo bailora delighted us with a deep flamenco dancing. Accompanied by singer and guitarist, Laura dazzled with light itself, leaving fixed the eyes of the audience with her ​​mesmerizing dance. 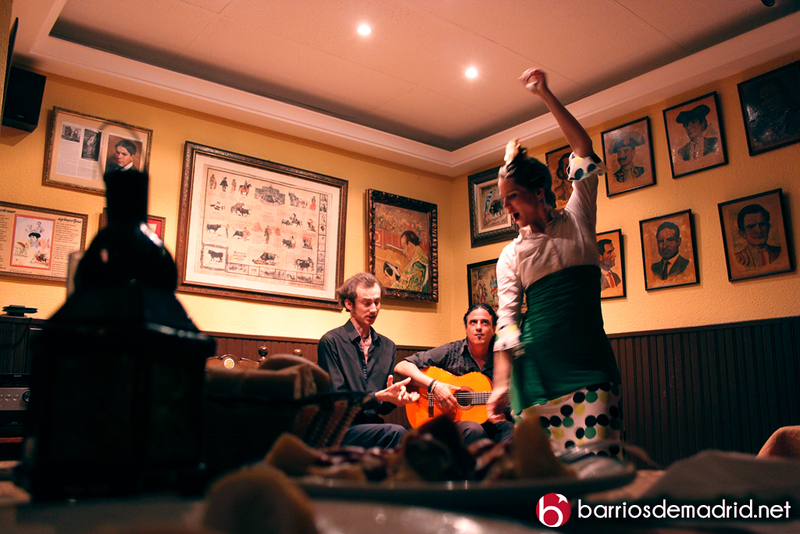 Flamenco is pure feeling and if you have the opportunity to mix with the art of Spanish cuisine, the result is much better. 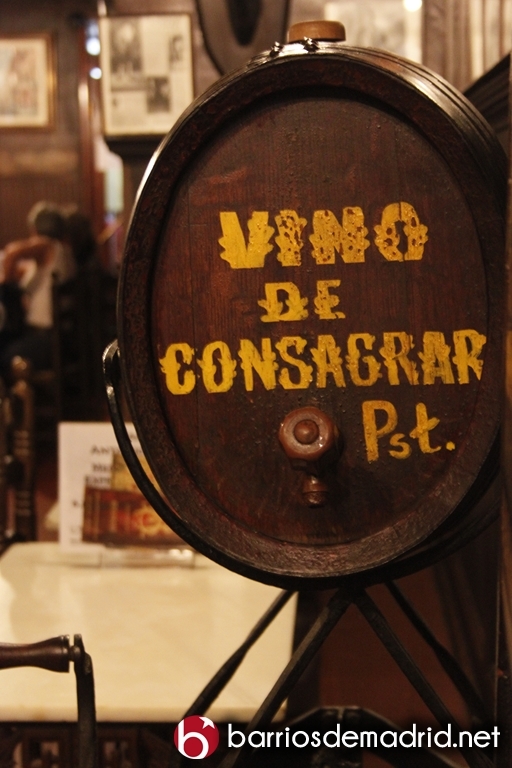 We accompany the show asking for a beer and getting carried away by the flavors of the tavern thoroughbred. 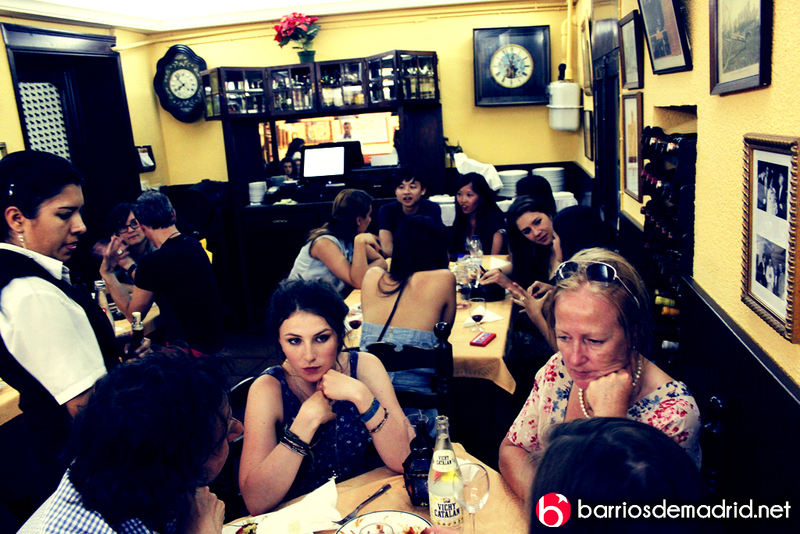 You can not go without trying the authentic tavern oxtail or Andalusian calamari, which are simply spectacular. 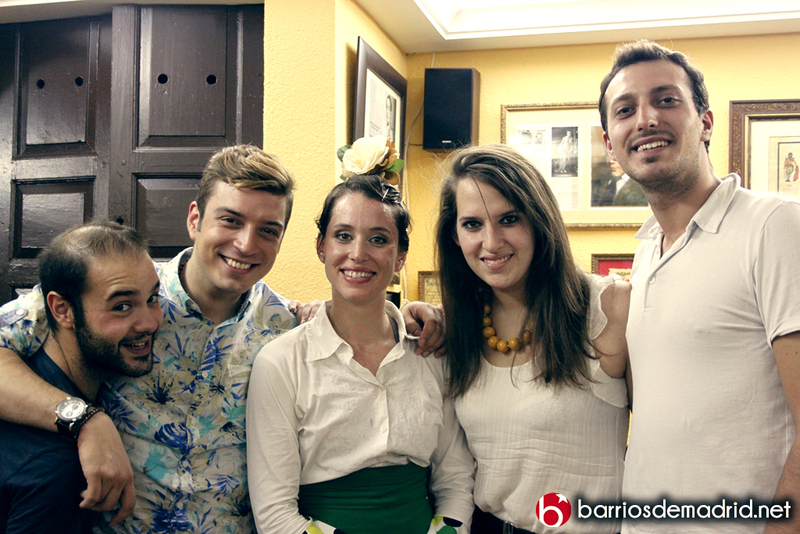 The palms are a key element, so do not reprimáis to feel the rhythm of the music, follow the sounds with your own palms and throw compliments to the artists. 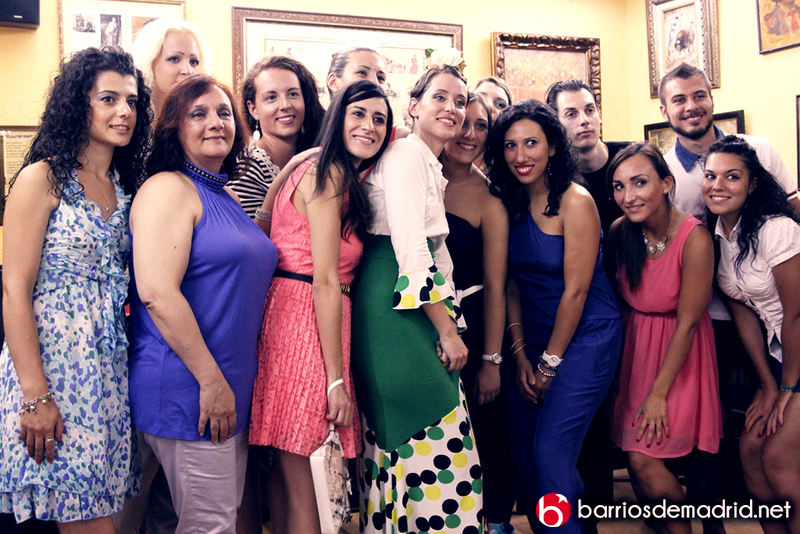 At the end of the show can bring you a nice souvenir photo with the performers and congratulate them if the show has been to your liking. 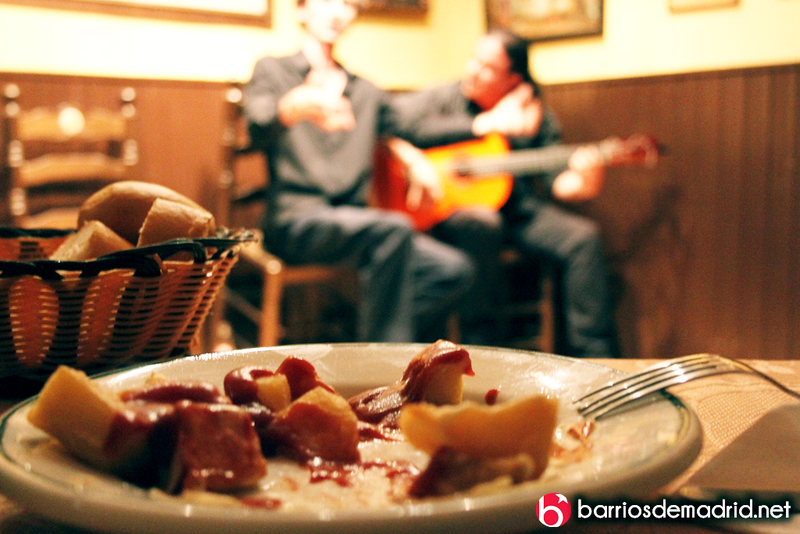 Whether you are from Spain or not, the flamenco is an experience that anyone visiting Spain should experience. 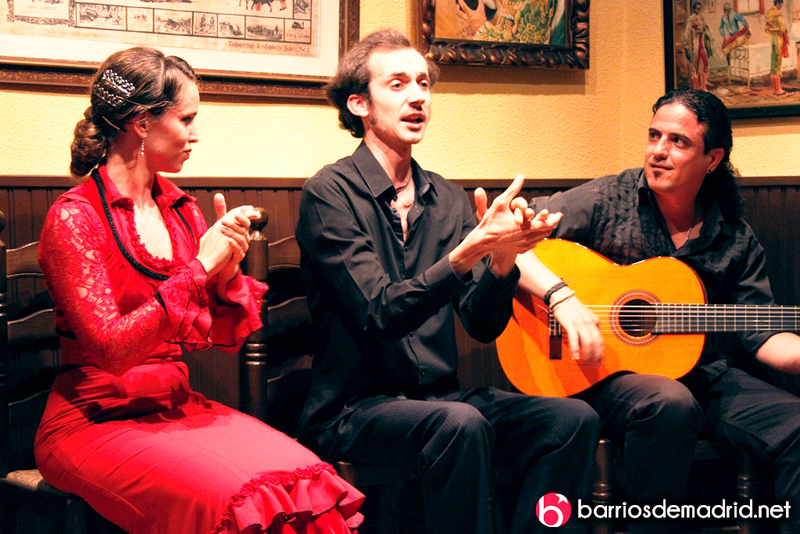 The feelings arise, the feet move alone and inevitably launch a classic living voice Olé!